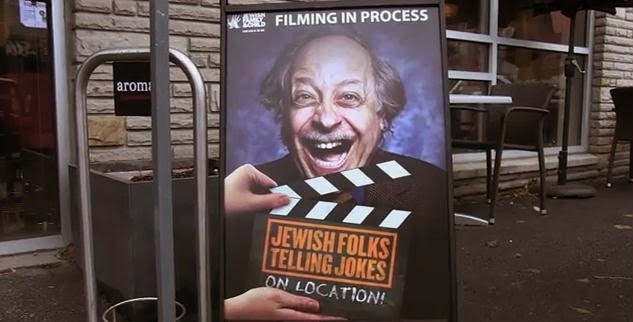 Jewish Folks Telling Jokes is the title of a show that was performed in Toronto last month. We've been running multiple jokes from the show for the last couple of weeks and you've been requesting more. We're glad to report that we haven't run out of clips from Toronto, so you'll be seeing them for next few weeks. Today's session was filmed on location at an Aroma Espresso Bar in Toronto. In today's segment there are eight jokes. We hope you enjoy them and get your week off to a laughing start.